I know I said I would post regularly and then...I didn't. So I'm sorry for my absence...I've just been a little loopy. But to make up for it...I brought gifts. There are quite a few things I geek out about. Here they are in no particular order. This week and next week we are learning about DINOSAURS! I'm so excited to teach my darlings about dinosaurs. There's so much information and fun stuff to do! One year, I had an amazing student teacher. She was teaching the kids about fossils and found/came up with an amazing activity to do with them to create their own fossils frozen in amber. She mixed clear liquid glue and yellow food coloring together. Next, she placed dragonfly buttons at the bottom of a plastic cup and poured the "amber" (glue mix) over it, until the amber fully engulfed the button. The mix had to dry for a few days...but when they did, each kid had their very own amber disk! It was so cool and the kids loved it. So of course I wanted to try/steal the project with my darlings. I searched everywhere for some kind of insect button or small toy to place in the amber...but came up short. So instead I spent this weekend creating some adorable activities for my kiddos to work on during the upcoming weeks. I bought this game years ago at the Discovery store. I think those stores are now closed but they had the best games! 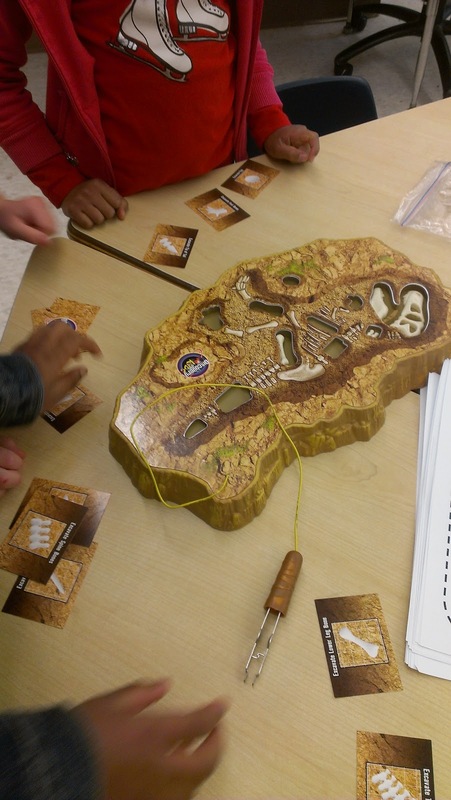 This is a Dino Excavation game. It's just like Operation...and the kids pull out different bones from the T-Rex. If you touch the sides...it roars! I created a game I call Dino Sight Word Search. There are pictures of different fossils with sight words on them. 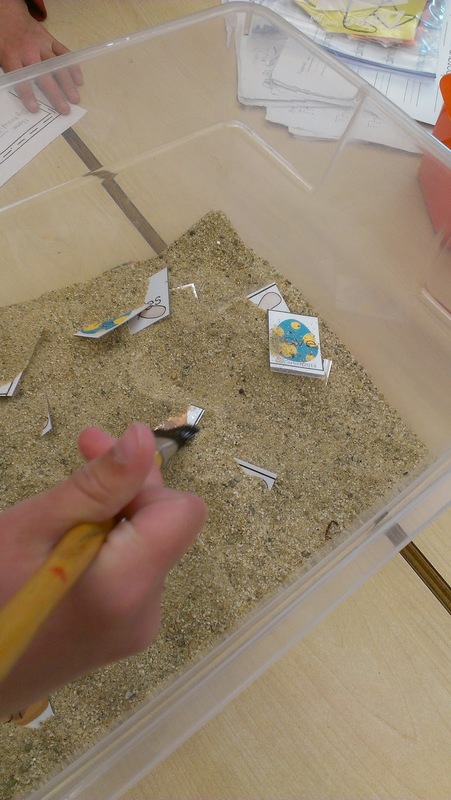 Then, I put some sand in a box and threw the cards in. I explained to my kiddos that they needed to use their brush to carefully uncover the different fossils. Each time they found a sight word, they wrote it down on the recording sheet (below). This was the first time we used sand in our room...the kids did such a great job! They were so delicate and patient as they unearthed their fossils. This is a simple Bump It! game. It just features dinosaurs. My kids LOVE the various Bump It! games. Such a great addition fact practice. We've only got 11 more days left! 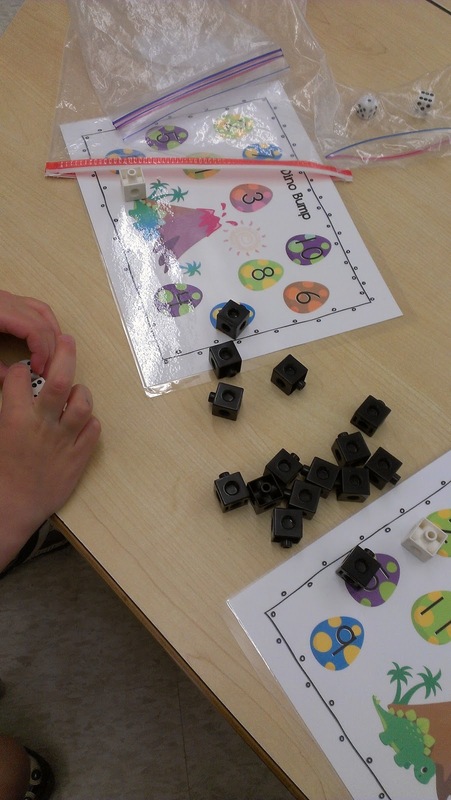 This dinosaur unit is a great way to keep them excited and engaged while we wind down the year. I've got a few more things to add before this unit is up on TpT...but in the meantime, please enjoy these freebies! 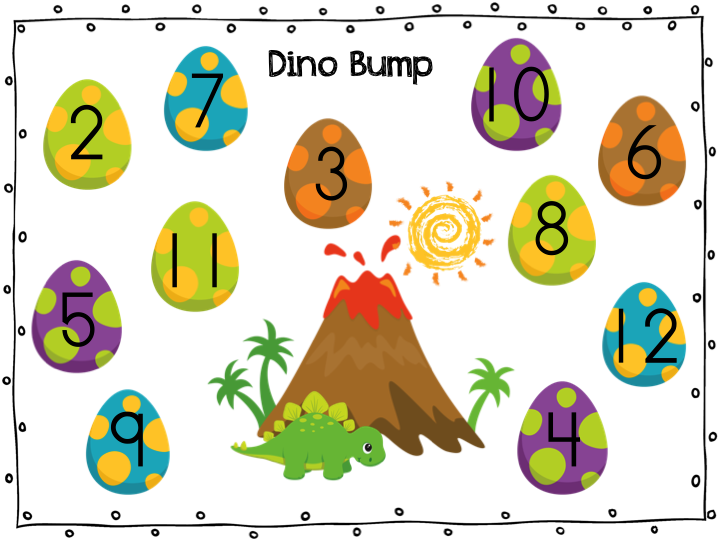 I'm trying out a new feature on my Facebook page...This Dino bump game is featured as a freebie..But you have to like my page...Click the picture to take you there! 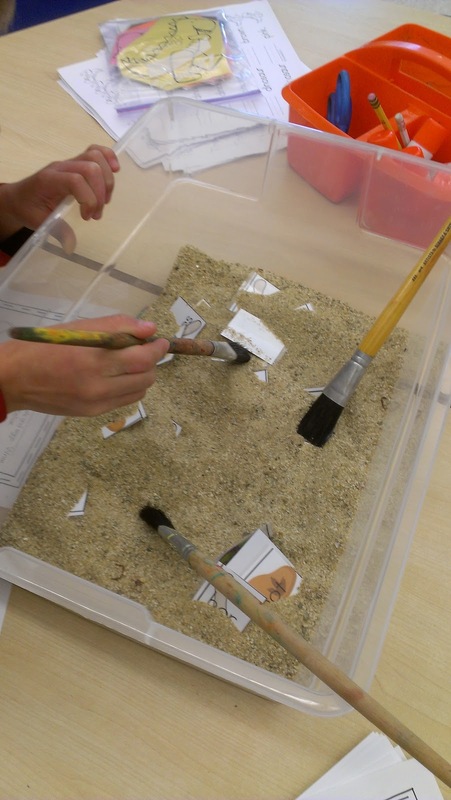 I love the idea of putting sight words into the sand and sending the students on an excavation. I think I will try this with my daughter this summer. I enjoyed reading it. I am your newest follower. So cute! 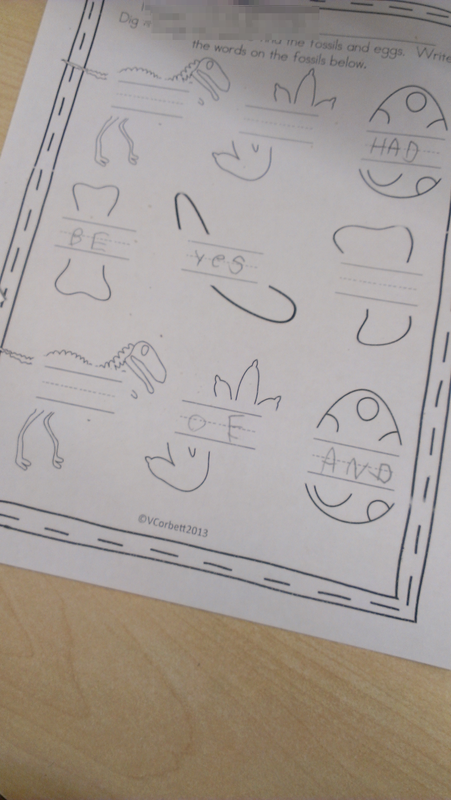 I want to do your sight word search next year when we study dinosaurs. Thanks! Learning about dinosaurs is so engaging for the students, I bet they had a blast. Looks like fun!